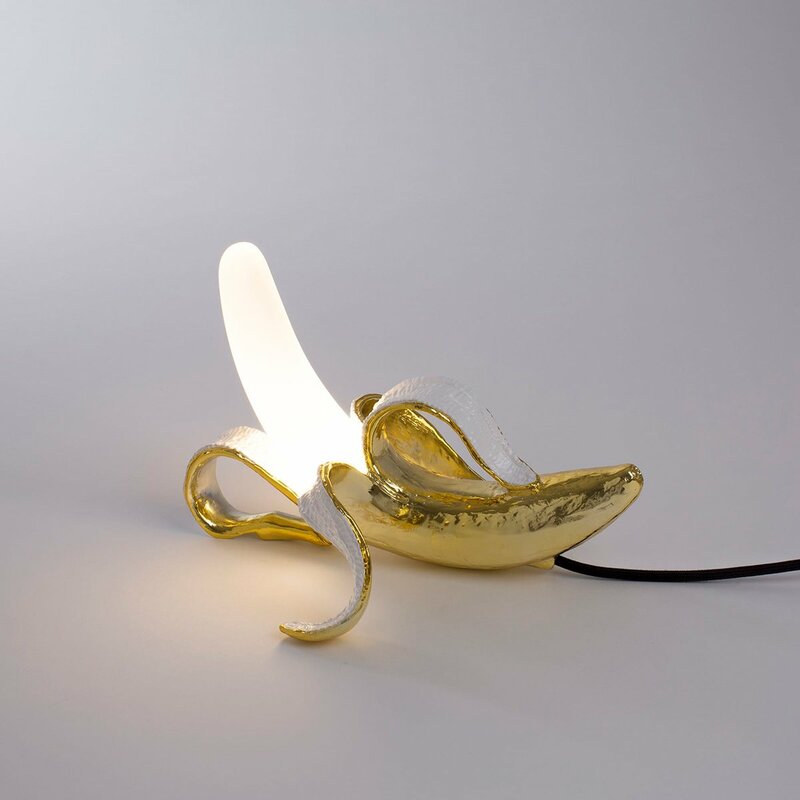 Created by Studio Job, this lamp is a glowing sculpture in the shape of a peeled banana. 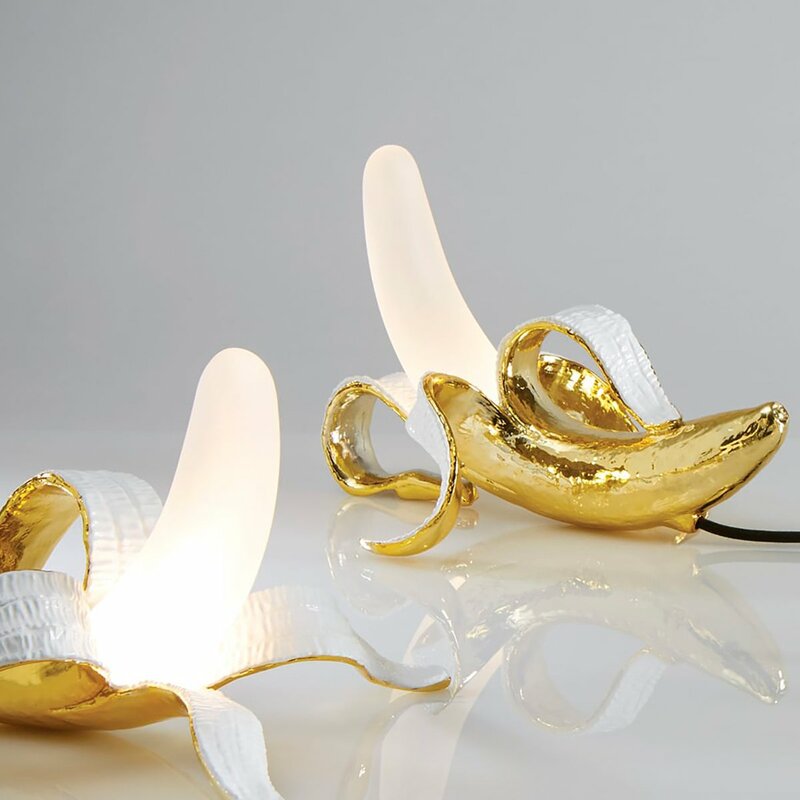 This series of Bananas has been created in a limited edition for the "Art Light" exhibition at the Carpenters Workshop Gallery in Paris. 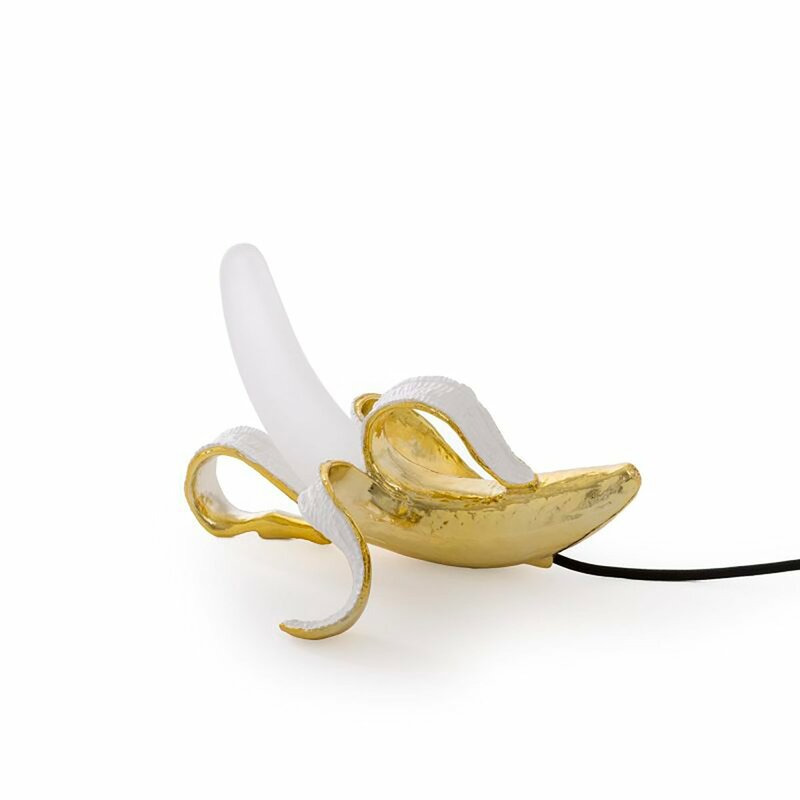 Seletti has decided to mass produce these bizarre and original lamps by replacing the bronze with the golden resin. 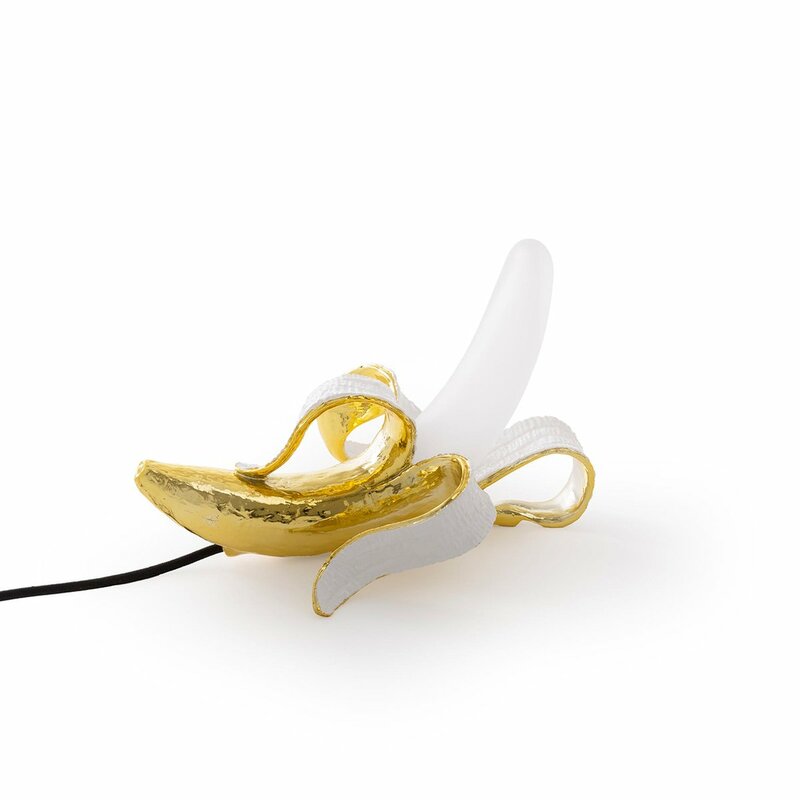 The long shaped diffuser is made of glass. 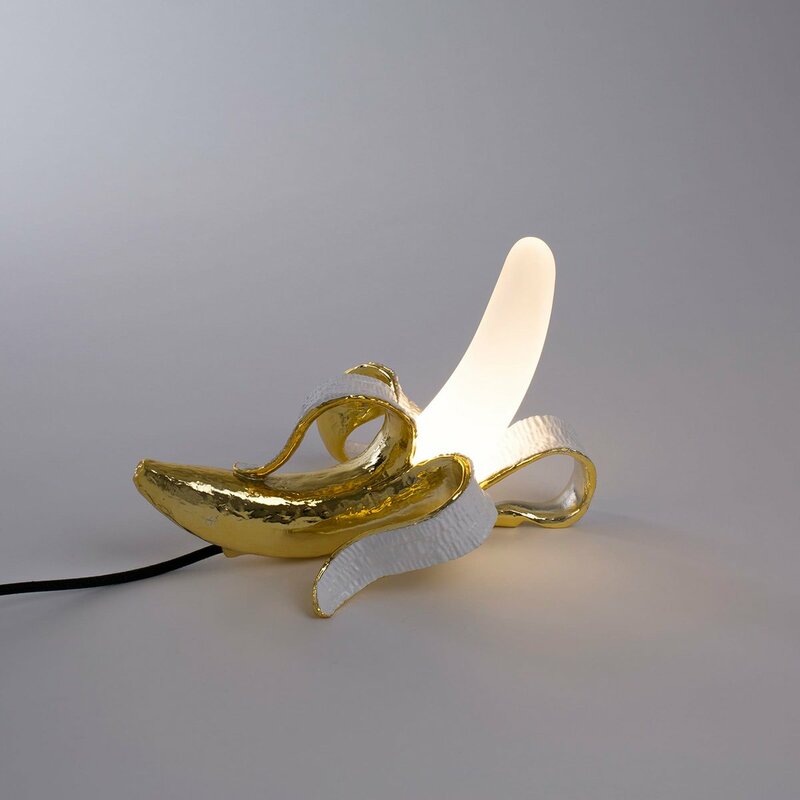 This lamp is equipped with a dimmer placed on the black cable. 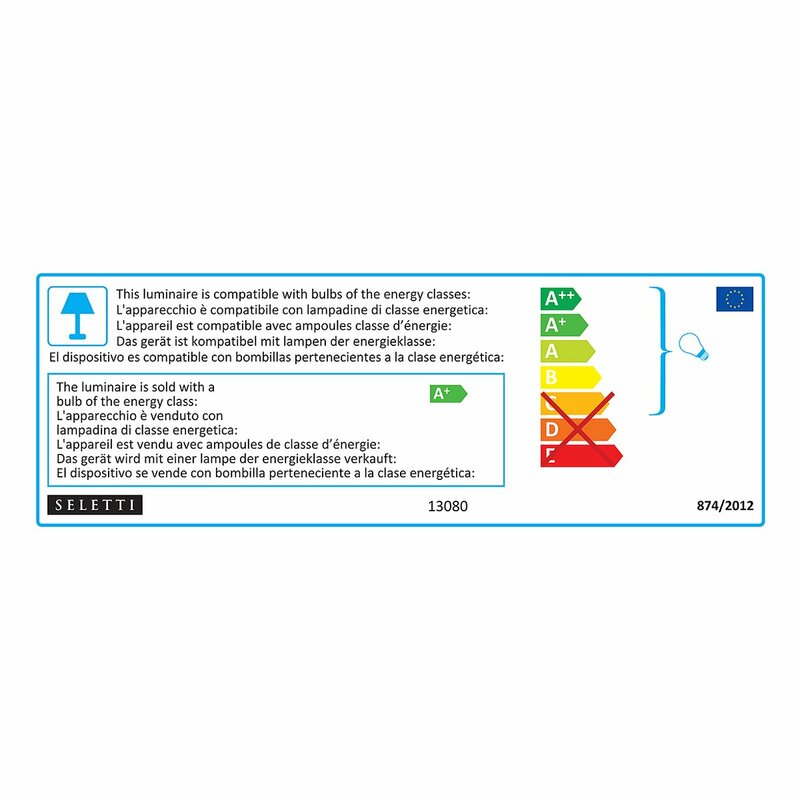 The LED bulb 6W, 3000K, 480 lm is included. For cleaning it is advisable to use a soft cloth without the use of detergents.